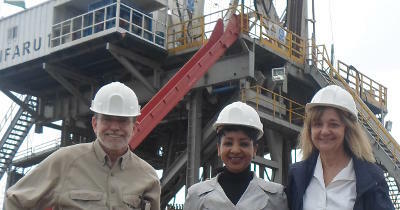 [E]arlier this month, while on mission in Kenya to meet with senior UNEP officials, the STAP Chair Dr. Rosina Bierbaum, and the STAP Secretary, Thomas Hammond accompanied by Dr. Meseret Zemedkhun, Program Manager of ARGeo, had the opportunity to visit and observe Kenya’s fast expanding geothermal development projects – the Menengai and Olkaria Geothermal Fields. 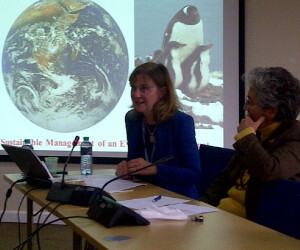 Dr. Rosina Bierbaum, STAP Chair, speaks at UNEP/UN Complex in Nairobi, Kenya on "Bridging Science to Policy Gap" on 29th July 2013. 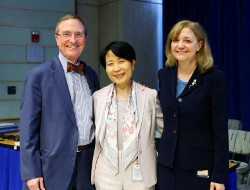 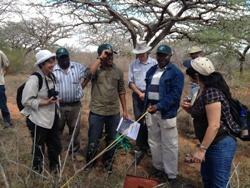 The governing Council of the Global Environment Facility welcomed Dr. Rosina Bierbaum on the 19th of June, 2013.